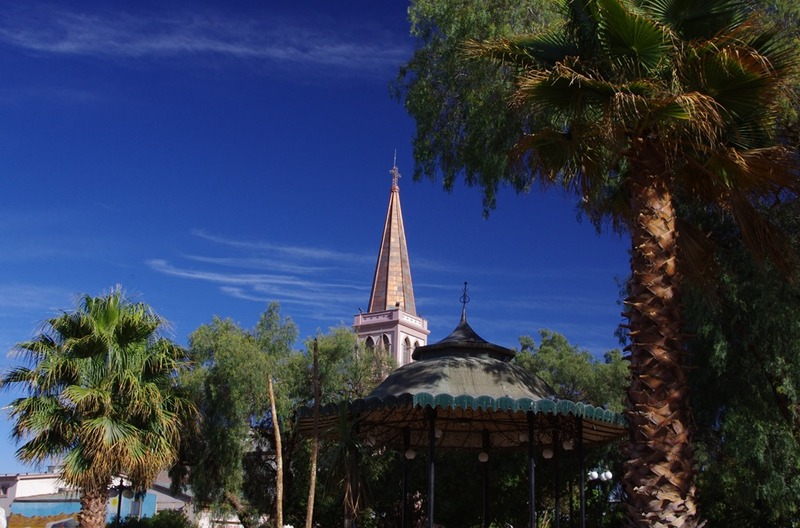 Calama is not particularly known for anything. My only reason for stopping here was as for acclimatisation at a moderate altitude (7000ft) before climbing higher to San Pedro de Atacama (9000ft, with nearby sites at up to 13,500ft). I came to Calama by bus from Iquique. Tur-Bus has a relatively regular service, and their buses are comfortable, modern and well-maintained. The roughly 6 hour journey via Tocopilla and Maria Elena cost little more than £8, so it’s certainly a good way to travel. A note for anyone else planning the trip in the future: there are two bus terminals in Iquique, Rodoviario and Esmera. They aren’t that far apart but Rodoviario is shared by many companies, and Esmera (on C/Esmeralda) is unique to Tur-Bus. My ticket specified departing from Rodoviario but it turns out it’s fine to leave from Esmera about 10 minutes later, which is where my taxi driver insisted on depositing me. Luggage went in the buses hold and had a numbered tag attached to it. I was then given a receipt for my luggage which was used to claim back the bag at my stop. A very efficient and effective system for ensuring bags don’t go missing, I thought. The journey was pretty simple: we hugged the coast road (Route 1) from Iquique to Tocopilla, that leg interrupted only for a customs checkpoint at the border between Region I (Tarapaca) and Region II (Antofagasta). The checkpoint consisted of everyone getting out, claiming their bags from the hold and opening them up on some benches in the sun for a single customs official to do a cursory check. That check consisted of nothing more than quickly putting her hand into the bag and having a feel around. It took less than 5 minutes to go through all the passengers on the double-decker bus, so I’m not too sure what the point was. After Tocopilla, we started heading straight uphill and inland to the East. The road had quite a few roadworks and there were places where the tarmac had almost gone. 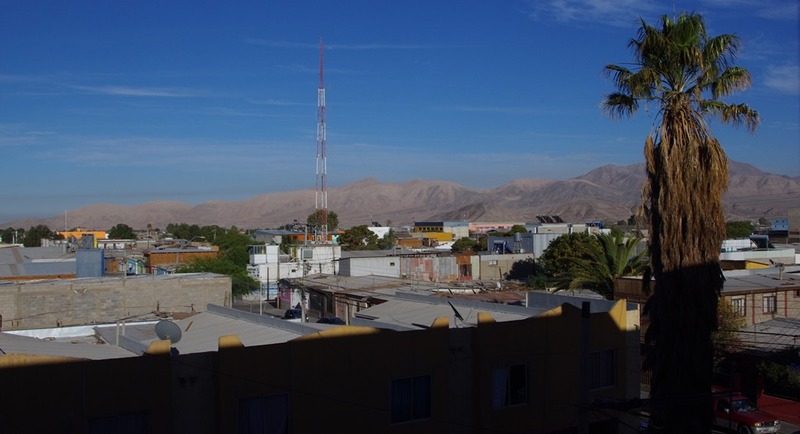 We still arrived into Calama about when expected, however. One amusement for me was that someone came on board selling food in Tocopilla. Her main wares turned out to be Cornish Pasties, which I guess is explained by the Cornish coming to the area for mining in the 19th century. It’s good to know the export is still enjoyed, but I didn’t have one myself. 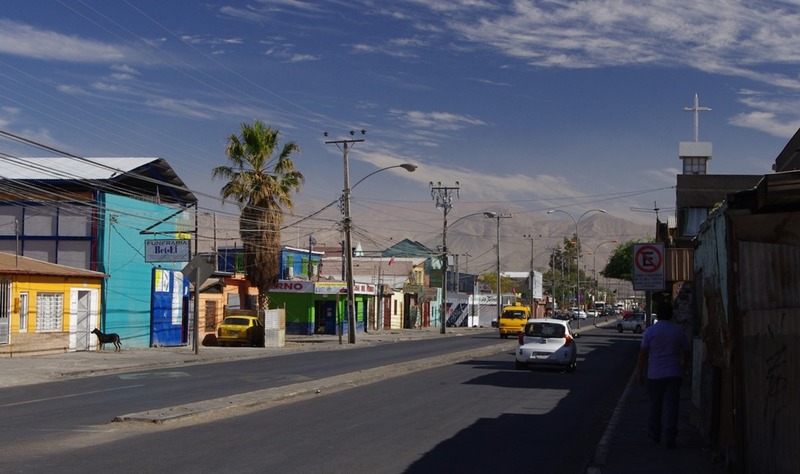 Calama bus station, if you research it on the internet, is a known pickpocketing and bag theft hotspot. Fortunately, I had no such trouble but made a point of leaving the station as quickly as possible to get a taxi to my hotel, the Ayelen Apart Hotel. As I’ve said, there’s not very much in Calama. It’s a surprisingly big city, an oasis in the desert, mainly built to service the needs of the nearby mining industry. That said, it is starting to get a bit of a tourist industry as a base for exploring deeper into the Atacama, which is the reason I’m here too. As it turns out, I haven’t had a problem with altitude sickness yet, but I’m sure I would have been glad of the stop had it become a problem (as in some of the travelogues I read while researching this trip). Having spent a couple hours on Thursday morning wandering around the nearby streets, I quickly got the impression that I’d seen all there was to offer here. It’s pretty enough, but there’s not much to see or do in the city itself. My sole entertainment came, in the main square, when I was watching some teenagers practising on their skateboards. An older, somewhat heavier, gentleman came up to them to demonstrate a move, and promptly slid off the board onto his back. He wasn’t injured, and I think most of the people in the square (which was quite busy with people shading themselves from the sun) struggled to avoid laughing too loudly! One bit of advice for anyone else visiting Calama – it’s sunny and hot here. It’s been around the mid-20s Celcius while I’ve been here, but it’s a dry heat so not too uncomfortable. The sun is incredibly strong, though. Factor 50 suncream is a must for us fair-skinned Europeans. I also left my hotel room by 8am (shortly after dawn) to go exploring, so I could be inside writing this blog post by the afternoon, when the sun is at its peak. I’m glad I did. 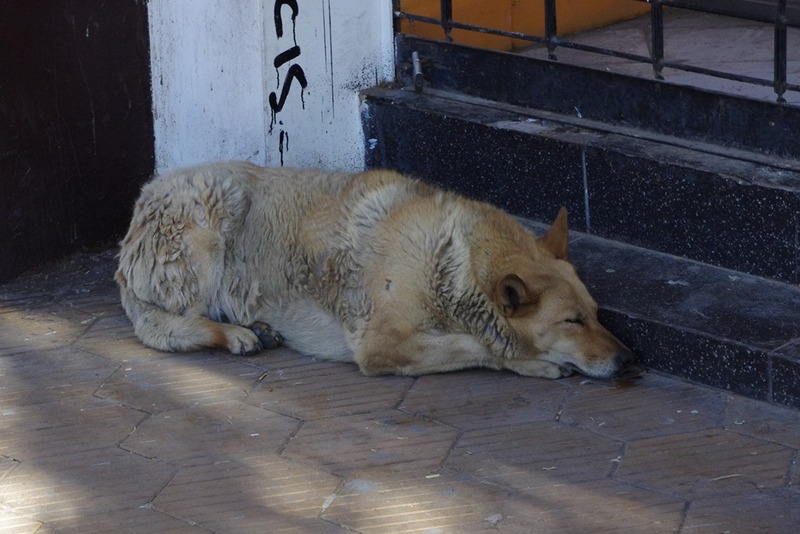 My only other observation about Calama is the number of dogs. They all look healthy, but I’m not sure they can all have owners. 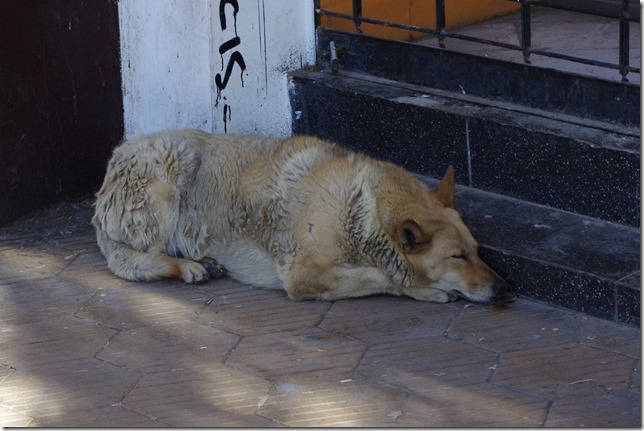 In some places, there’s a dog on the pavement (generally sleeping in the shade) every few steps. This also, naturally, tends to make the pavements rather dirty but the local council workers were doing a good job of hosing down the streets first thing in the morning. November 12, 2015 in chile.